When an order comes in, you and your team get to work: enter the order in NetSuite, notify the fulfillment center, update your email marketing system, update NetSuite again when the order is shipped ... Sound familiar? FlowLink can help. FlowLink lets your systems talk amongst themselves while you focus on the fun stuff. Orders get handled fast and correctly every time. You smile more. 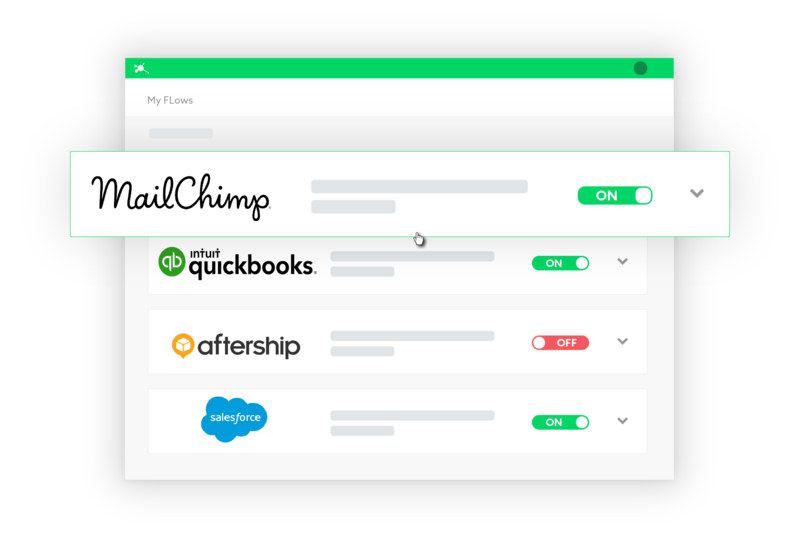 Every online store needs to talk to other systems: accounting, shipping, marketing, and CRM, but plugins rarely allow you the freedom needed to deal with real workflows. What if you could setup sophisticated connections between these things, well beyond the simple capabilities of most plugins, without installing a single plugin? If you like that idea, you'll like FlowLink. Want to grab orders from your store, send new orders to your logistics provider and ERP, also send a text message for any which have been recently updated, then update order status when an order ships? Automatically? Easy. Tell FlowLink how often you want to run each piece of your workflow, then forget about it. Under what conditions should it happen? Your workflows are complex, and FlowLink gets it. Only want to take an action on objects when certain conditions are met, for example on new products with a particular status? No problem. Complex Workflows? Not so Complex. 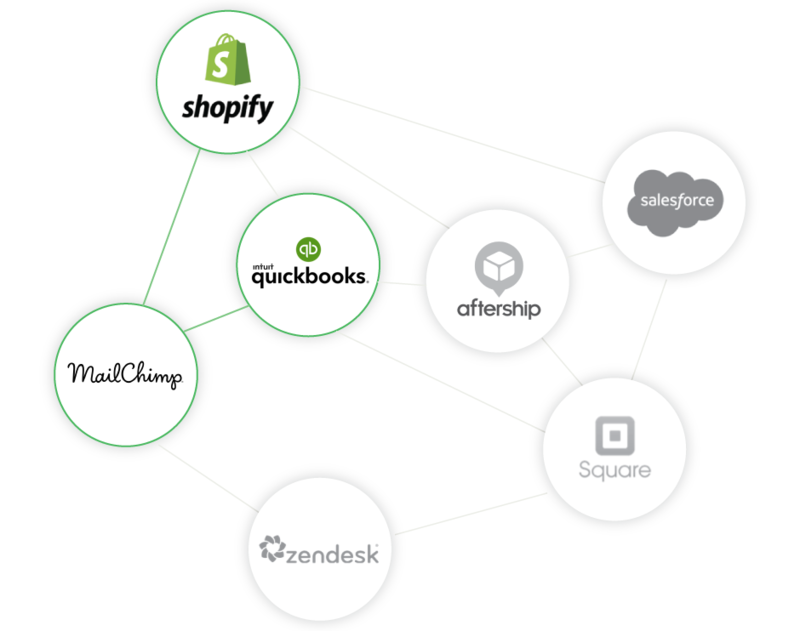 Your store has modules that connect it to 5 different tools, but none of them talk to each other ... sound familiar? Our Flows make it easy to communicate between any tools connected to FlowLink. 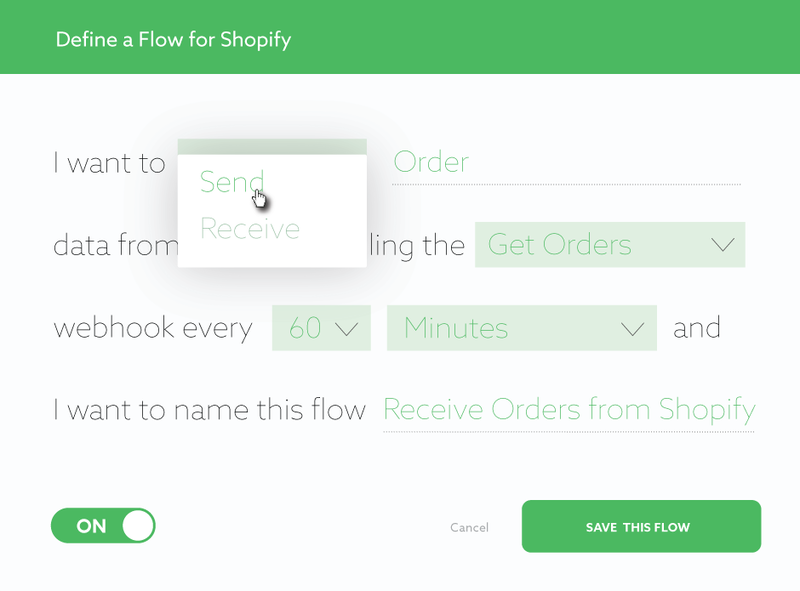 Let's say you want new Customers created in your store to Flow to your MailChimp and NetSuite accounts, and updates in NetSuite to flow back to your store and MailChimp. That's either tough or impossible with most setups, but it's a snap with FlowLink.